If there is one thing you are most likely fed up, it is probably coming back from work in Earl’s Court, SW5 and having to address all of the home cleaning chores. Fear not; many people are in this same position and they all feel stressed. But you will now learn of a secret that lets you forget about the troubles related to all the cleaning hassle. And that is our domestic cleaning in Earl’s Court. Thanks to Top London Domestic Cleaners, you can have a professional cleaner at your home visit a few times and address chores. That way you won’t have to bother with everything on your own. What does our service feature? 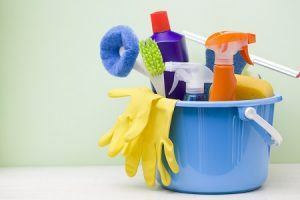 Our company has put great focus on domestic cleaning service over the years. We think every aspect of the service and so we have perfected it as much as possible. In that sense, you can expect our cleaners to be all very professional and skilled. They will never leave your home looking dirty. Any cleaning challenge you have for us will be dealt with in minimal time. We can even deal with some of the toughest chores you can imagine oven cleaning service as well as spring cleaning. You just have to call us on 020 3322 8143 to arrange things. If there is one thing we have learned over the years, it is that our service is deemed worthy by many people. We greatly appreciate the trust and can promise that we will always deliver such high standard to all of our clients. If you too would like to see what it is like to have a perfectly clean home on a regular basis and are based in the SW5 area, then our domestic cleaning in Earl’s Court is the best option for you. It is a single call on 020 3322 8143 away. One of the districts in the Royal Borough of Kensington and Chelsea within the central part of London is Earl’s Court. This area borders on few sub-districts: Chelsea (south), South Kensington (east), Kensington (north) and West Kensington (west). Earl’s Court was largely developed in 1865-69 after the coming of the Metropolitan district railway station. It was not long before the area was developed into a densely populated suburb with numerous houses and 2 churches. Presently, there is a notable divide between Earl’s Court western and eastern areas. The area featured the emblematic Earl’s Court Exhibition Centre, which opened in 1937. The Empress State Building is another notable landmark, mostly popular for its triangular design. Among the most important public coffee houses in the area is The Troubadour, which has hosted several emerging talents, like Bob Dylan and Jimi Hendrix. The best option to cover your cleaning tasks is booking our domestic cleaning in Earl’s Court. Contact Top London Domestic Cleaners for a free quote by calling our friendly customer support team on 020 3322 8143.